Lending more credence to the adage that “one man’s trash is another man’s treasure,” a letter written by civil rights activist Malcolm X in 1964 has been discovered in a California storage locker among items that were headed for the trash. It is now on sale for $1.25 million, reports the New York Post. The six-page letter was written on stationery imprinted with Arabic writing and illustrations of historic sites, the Post says. 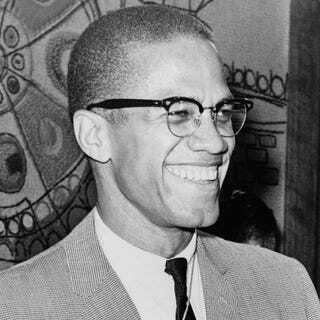 Malcolm X wrote the letter by hand after his much publicized pilgrimage to Mecca. In it, he recalled his encounters with “Muslims here of all colors and from every part of this earth.” The activist, who was assassinated in 1965, wrote that if Americans converted to Islam, it would stop racism, according to the Post.